At Phillips & Sellers, we can offer in-depth consultations about the divorce options you have available. We will talk to you about assets, your splitting of funds and/or properties, and more. If there are underage children within the marriage, we can also discuss what’s likely to happen through custody rights. We want our clients to be as informed as possible so you can head into your divorce process with a clear understanding of possible outcomes. We will also walk with you every step of the way to work toward the outcome you desire. While we know this can be a difficult and emotional process, we see our job as helping you be as mentally prepared as possible. That’s true on the clerical side, too, in filing papers, meeting court deadlines with documents, and more. Making the decision to file for divorce is tough, but the often necessary route. Other times, the decision might have been made by the other party. While this is an emotional experience, it’s also important to look at your legal outcome when going through the process of having your marriage legally dissolved. If this is your first divorce or a process you are familiar with, it’s likely that you will have many questions. Each marriage is legally different, simply based off of assets, length of relationship, and more, every divorce, too, will be different in the eyes of the law. With over 22 years experience, let us help you through this process. We will help make it as logistically simple as possible so that you can get on with life as usual. We are on your team! In your time of life change, nothing is more important than being able to rely on those around you. We wish to be your guided and trusted source for legal changes going forward. Whether you need our legal services in the short term or as an ongoing basis, we’re here to help. We understand that a divorce can be a painful experience, no matter how much time it takes to complete. With a legal team you can trust, we hope to make the experience that much less painful for you and your loved ones. Depending on what point in the divorce process you, we can help you get your affairs in order. 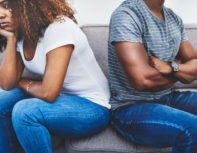 If you and your spouse are contemplating legal dissolvent, we can sit down with one or both of you to talk about preferred outcomes and your legal obligations. Contact us today to schedule a personalized consultation.